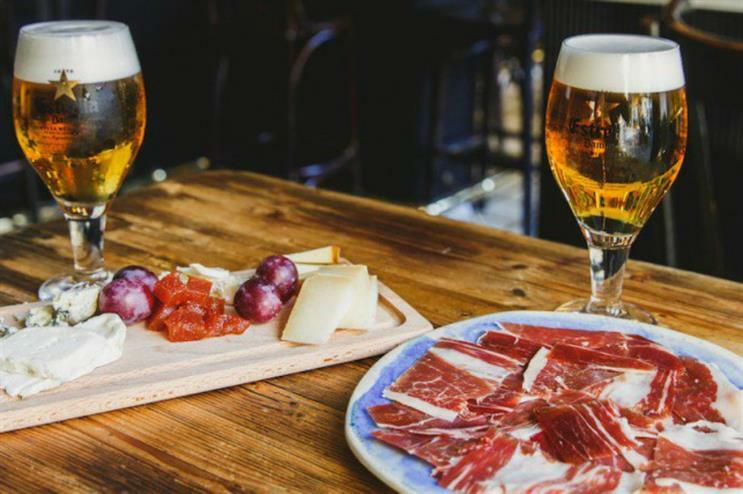 Spanish beer brand Estrella Damm is set to host a pop-up version of Barcelona's famous La Boqueria Market within London's Old Spitalfields Market. Launching on Friday (29 April) and open for four days, the experience will offer attendees the chance to sample Spanish food and drink, including tapas style dishes and fresh produce. Members of the public can expect food sourced from La Boqueria, as well as dishes from some of Barcelona’s top restaurants. Estrella Damm will be served at market-style bars, and the event promises an atmosphere typical of Barcelona. The experience will be available to enjoy from 12-9.30pm over the first three days, and from 12-6pm on the final day. La Boqueria has popped up on London’s South Bank for the past three years, and 2016 marks the first time it will visit Old Spitalfields Market. Independent Spanish brewery Estrella Galicia hosted a pop-up experience in London last year, which featured a series of themed rooms.